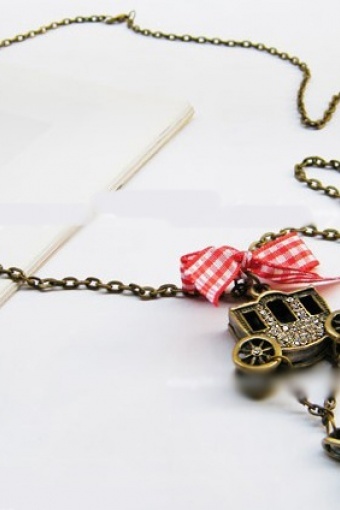 Cinderella necklace From Paris with Love! 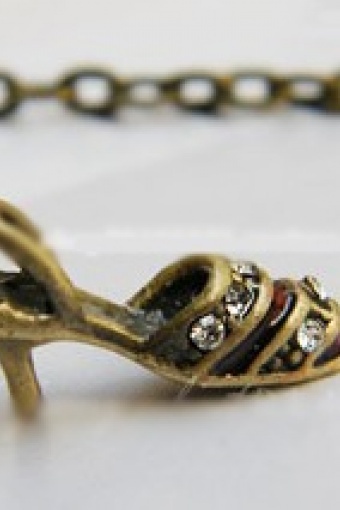 From the fairy tale Cinderella who lost her glass slipper while she tried to run to her carriage before it turned back into a pumpkin and the horses back into mice. 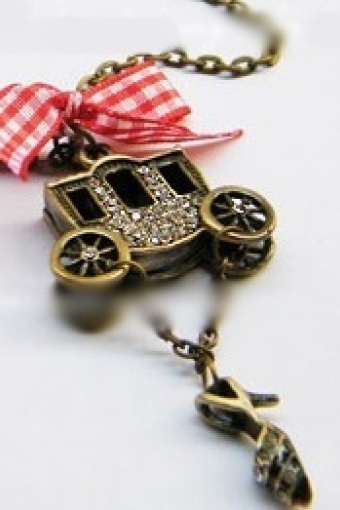 The necklace is made from bronze toned metal with beautaiful strasstone details in the carriage and the slipper with nice red-white bow (nikkelvrij).